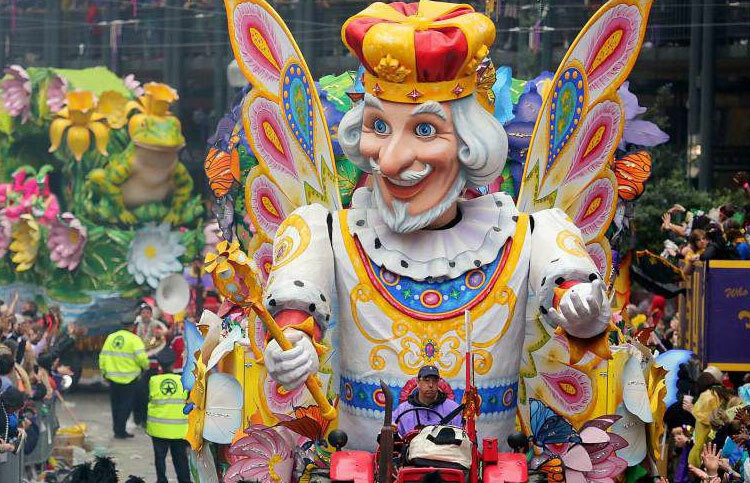 Known as Shrove Tuesday, Fat Tuesday or Pancake Tuesday, Mardi Gras has its roots in Europe. Always dated 47 days before Easter, the festivities begin on or after the Christian feasts of Epiphany till the day before Ash Wednesday. For the people of New Orleans, Mardi Gras is the “greatest free show on earth.” Mardi Gras is celebrated in a number of ways in different places. New Orleans, Louisiana and a few other traditions stretch Mardi Gras from Twelfth Night to Ash Wednesday. While, others treat the final three-day period before Ash Wednesday as the Mardi Gras. Mardi Gras is not observed throughout the US. It arrived it North America as a French Catholic tradition. Lundi Gras is the name given to the Shrove Monday traditions that take place during the New Orleans Mardi Gras. In Louisiana, Mardi Gras is a holiday. History of Mardi Gras – Mardi Gras means “Fat Tuesday” in French. It signifies the last night of eating well before the fasting in the Lenten season. It can be linked to paganism, dating it back to thousands of years. It was celebrated to honour spring and fertility. 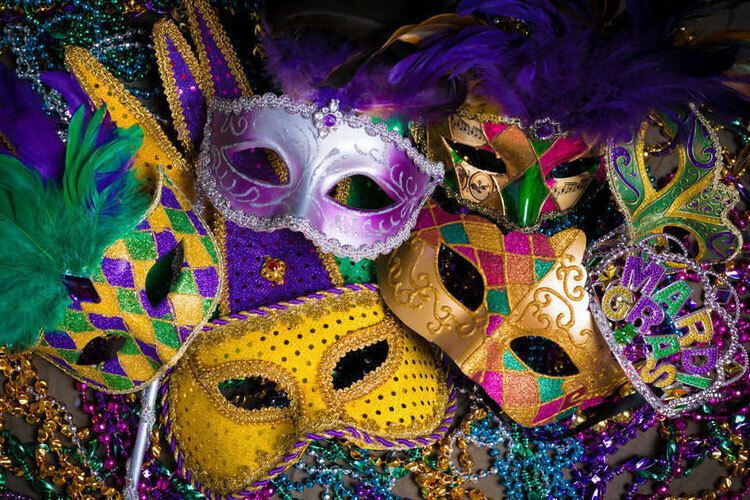 In America, the first celebration of Mardi Gras was on 3rd March, 1699 when French explorers Pierre Le Moyne d’Iberville and Sieur de Bienville landed near New Orleans. Mardi Gras in New Orleans? Mardi Gras festival is one of the biggest holidays in the city of New Orleans. The grand festivities start from January. Parade-goers wear costumes or green, purple and gold outfits. These colours are associated with the holiday. Krewes throw plastic cups, toys, beads, etc at the crowd. The crowd begs for Rex doubloons, Zulu coconuts and many such items of Mardi Gras value. They bring big bags to take away collection back home. The carnival clubs are non-profit groups, raised by funds and the sale of merchandise. These Krewes are also involved in social work. Creole and Cajun dishes such as jambalaya, gumbo, and red beans and rice are consumed. The meaning behind the festival is to enjoy excesses before Lent. The King cake is also a signature dish prepared using the signature colours of the festival- purple, green and gold. Flambeaux were used for lighting from the first Comus parade. Slaves and non-white people used torches to entertain the crowds in exchange of pennies. Even today, the tradition is the same but with modern torches and dollars instead of pennies. Balls have been an essential part of the carnival. Since Louisiana was a French colony, just like today, the King’s Ball embarked the festive season. More than a 100 balls are organised throughout the festival. Mostly, the entry is by invitation only. Go to a ball like Endymion Extravaganza, after the parade. They have an open, ticket-based entry. Avoid French Quarter or Canal Street with family or children because of the hard-party goers. Carry a bag of essentials as the parade may last much longer than expected. Everyone including children wears costumes. Many families dress-up in costumes of the same theme. Celebrations take place in the entire Louisiana. One of the earliest parades is the Krewe du Vieux. It is strictly for adults due to its themes. It showcases the best brass bands of the city. You can enjoy dance performances by groups like 610 Stompers. Mardi Gras Indians can be spotted wearing unique hand-sewn costumes. A canine parade is also featured with dogs and owners wearing costumes. Dont miss the Super Krewes like Orpheans parading with enormous floats. Parades can be tracked using parade trackers as there are nearly 70 parades. Many streets are closed during parades. There’s an option of public transportation and walking. You can rent a car for touring the city of New Orleans as well as points of interest around it. Drive to the Audubon Zoo, Audubon Aquarium of the Americas, etc in your car rental. Renting a car to the airport after the festival is also a wise option.